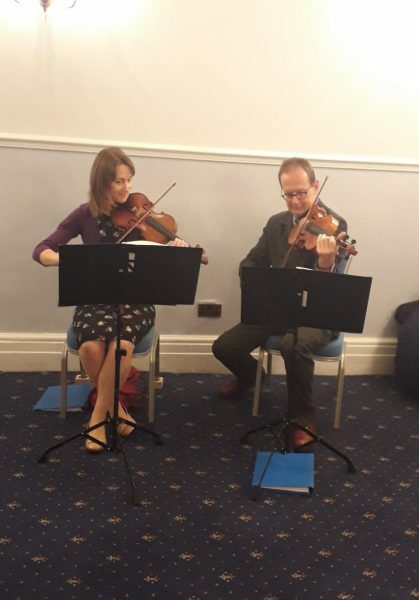 Manor House Music – On a pleasant November Saturday our string duo (consisting of a violin and viola) played for Claire and Peter’s wedding at the splendid Bisham Abbey, situated on the banks of the River Thames and now part of the Bisham Abbey National Sports Centre. 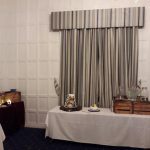 It’s one of our favourite venues as it combines a beautiful location with friendly staff who can’t do enough to help you. We’ve played here as both a string quartet and string duo and with our wealth of music, we’re able to offer brides and grooms the ability to choose all their music for their wedding day. As such, we played The La’s ‘There She Goes’ as Claire entered The Great Hall and the couple exited to Florence and the Machine’s cover of ‘You’ve Got the Love’! The venue is very child-friendly and has a warm and inviting atmosphere. Here are a couple of images, one of the wedding cake and the other of the main entrance to the Abbey, with The Great hall on the left.